Originally built in the 1890's, this delightful Heritage Listed Cottage is set on a large property amid trees, gardens and vast lawns. With less than 500 meters to all of the Townships amenities and only 3 Kilometers to the nearest beach, Goldminers Cottage really is ideally situated and is a perfect getaway for 1 or 2 couples. This lovely presented Cottage is comfortably furnished with plenty of space for outdoor relaxation. For those fishing enthusiasts there is ample parking for boats with a fish filleting area for those lucky Anglers. Heritage Listed - Situated on nearly 1/4 Acre. Extremely large fully fenced lawn. Outdoor table, chairs and umbrella. Lovely quiet location by the river. Very comfortable and well-equipped property. A house with some character. Nice period property which has been refurbished with modern fittings (which all work well). Only thing missing for us was internet (wifi) as we had to rely on phone internet to research local attractions. DO NOT book this property if you value relaxation and sleep. You will get neither here. The neighbours are horrendous. They have three dogs that bark at anything and everything. They also have a massive stereo system in an outdoor area- think outdoor concert levels of sounds. They play music at massive decibels from late afternoon through to 2am. So sleep is imply not going to happen until after that time. We needed to call noise control of the local council - that's how bad it was. The next day they started exactly the same thing at noon. We could not stay in the property during the day due to this noise. . Rent this property at your peril. 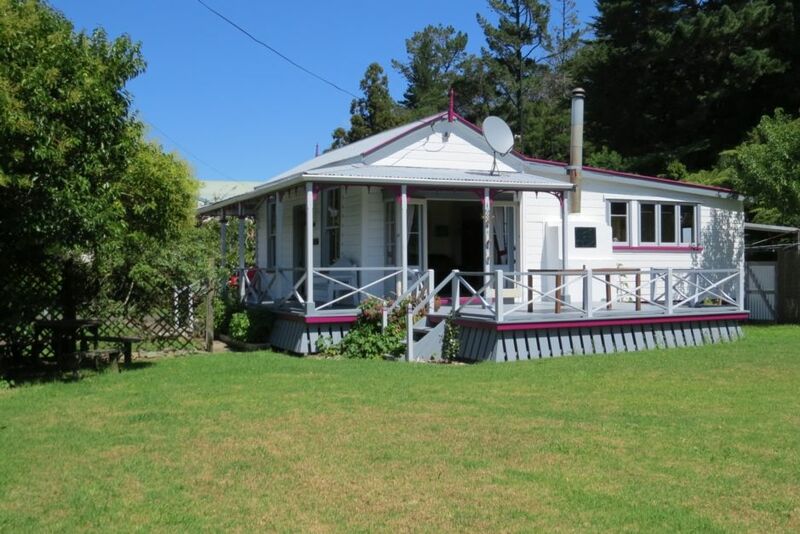 A cosy and comfortable character Coromandel cottage. The cottage was well appointed and we enjoyed the time we spent in it . A great base for exploring Coromandel township and the top end of the peninsula .